Essential guidebook to the best winter climbing routes in the Lake District. All the known routes in every part of the Lakes are described. From classic high-mountain gullies and buttresses on crags such as Scafell, Pillar and Great Gable to frozen watercourses and icefalls including Great Gully on the Wasdale screes. October to April, but climbs unlikely to be in condition before January. The creative forces of the Fell & Rock Climbing Club and Cicerone have come together to provide the definitive guide to winter climbing in the English Lake District in a handy-pocket-sized format. Every known winter climb, from all over the National Park and beyond is explored, including over 200 new routes for this edition recorded only in the past few years. All manner of winter climbing is covered; from Snow and Ice to Mixed Climbing, Water Ice and Dry Tooling. 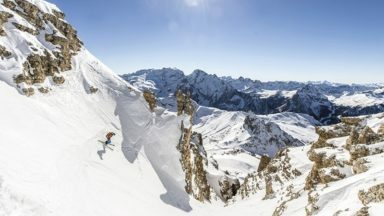 There are routes for those who are new to the adventure of winter climbing, as well as challenging ascents for experienced climbers. The Lake District is known all over the world as an area of outstanding beauty and tranquility. 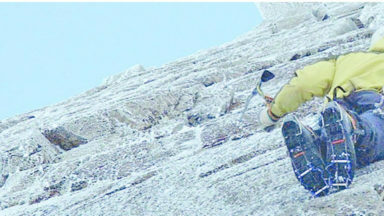 Winter climbing opens the door to a new world of snow, ice and rock. No less stunning than in the warmer months, climbing in the cold offers a challenging slant to a well-loved landscape. Ridges become gravity-defying cornices, crags are sheer with ice and snow, frothing waterfalls in gullies become static sculptures; all the more alluring because the climb is different every year. The guide is divided into five different areas, with clear maps to find the crags and colour photo-topos to locate all the intricate routes. 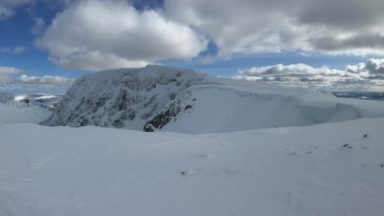 The routes range from classic high-mountain gullies and buttresses on crags such as Scafell, Pillar, and Great Gable to frozen watercourses and icefalls including Great Gully on the Wasdale Screes, Launchy Gill, Low Water Beck and Cautley Spout. And, of course, popular venues like Great End and the Eastern Coves of the Helvellyn Escarpment are described in detail. With additional sections on winter equipment, ethics and conservation, climbing walls, accommodation and a first-ascent list, Winter Climbs in the Lake District is an indispensable companion to any climber counting the days to the first snow. 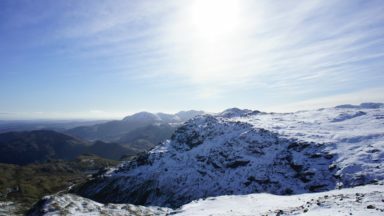 The BMC have published a 36 page downloadable pdf (4.5 MB) 'The White Guide' with information on winter climbing safety and ethics in the Lake District. First ascents or first claims? 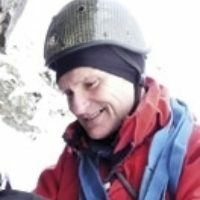 Brian Davison has been winter climbing for some 30 years and has notched up an impressive list of first ascents in Scotland, Wales and the English Lake District, as well as having climbed all over the world. He lives in Lancaster with his family and is a researcher at Lancaster University.